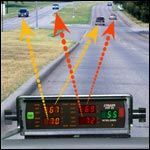 Plano, Texas -- The addition of Dual Zone mode (simultaneous opposite zone and same lane zone), on a single antenna, presents the officer with a clearer picture of traffic speeds leading to better speed enforcement. 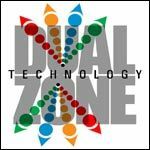 The new Dual Zone feature is available exclusively on Stalker’s top of the line Stalker 2X traffic radar. Stalker Radar's new Dual Zone technology takes full advantage of the Stalker 2X antennas' direction-sensing ability as well as fully utilizing the radar's display to present speed data on up to four targets simultaneously, four targets with the front antenna or four targets with the rear antenna.